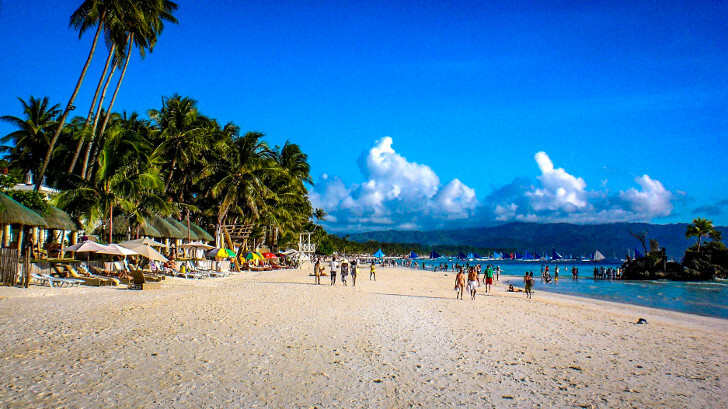 The White Beach is Boracay's most popular beach. 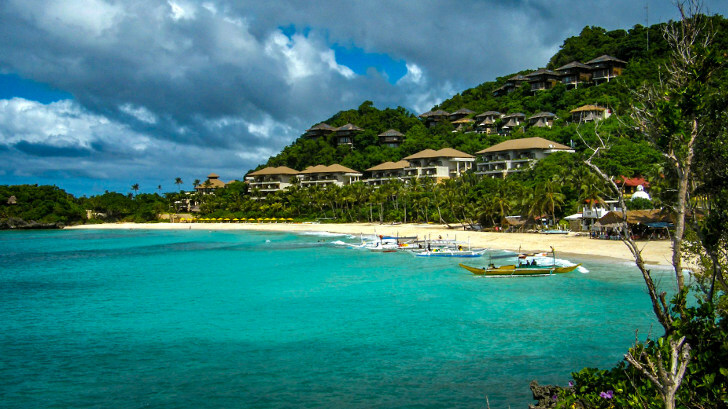 It is 4 km long and is located on the west coast of Boracay. This famous piece of white sand makes the whole beauty of the island and is also the main attraction of the island. The beach shelves gently into the crystal clear water and is also suitable for swimming, snorkeling or simply wading in knee-deep water. 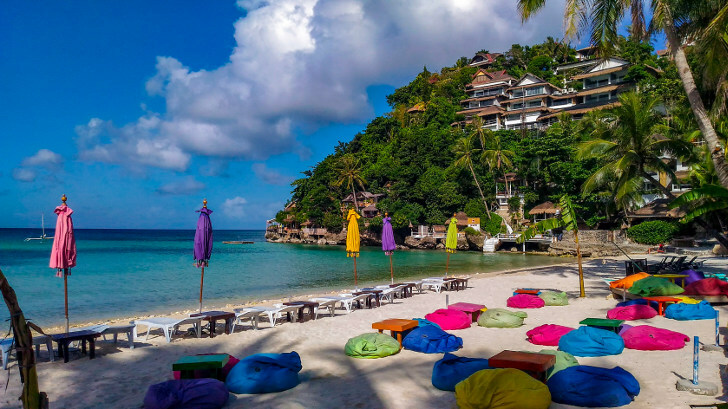 There are a lot of activities offered along the beach: Scuba Diving, Banana Boat, Para Sailing, Water Ski, Island Hopping, Sailing, Wind Surfing and even Kite Surfers can be found here during the low season. This quiet and somewhat secluded beach is just 300 meters long and can be reached by a short walk from the northern end of White Beach. An exclusive Beach Resort was built on the rocks of the northern end of the beach a few years ago, the other constructions along the beach are merely built in a more simple and traditional way. The beach is also accessible by tricycle or motor bike from the main road. The Balinghai Beach is the next beach north of and after Diniwid Beach as we move clockwise around the island. 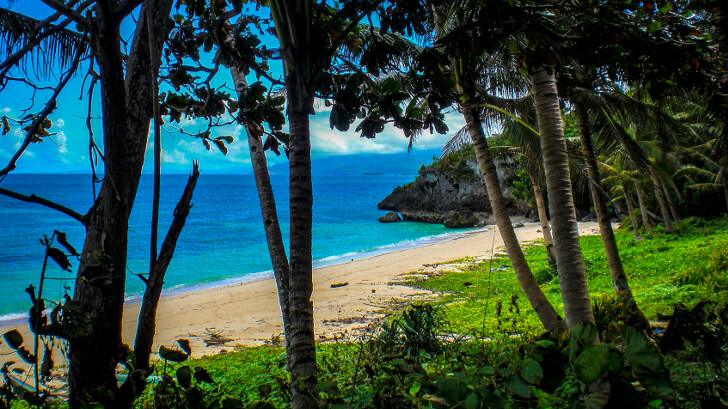 It is only a small beach that is framed with some tropical forest but an ideal hide away from the busy White Beach. It can be reached by a small road and from Punta Bunga Beach which is right next to it. The two beaches are separated only by a small rocky hill which you can climb to have a nice view and take pictures like the one on the left here. Punta Bunga Beach is located just north of the small Balinghai Beach and is about 400 meters long. It's beauty is a little bit spoilt by an empty high class resort which was built here and obviously never got a permission to open. In the middle of the beach is a small restaurant which serves the tourists, taken here by boat on an Island Hopping Trip or the guests from another resort, seen here in the background. If you don't like to walk the small path down and up the hill in the sun, it might be the best option to take a boat to reach this beach. 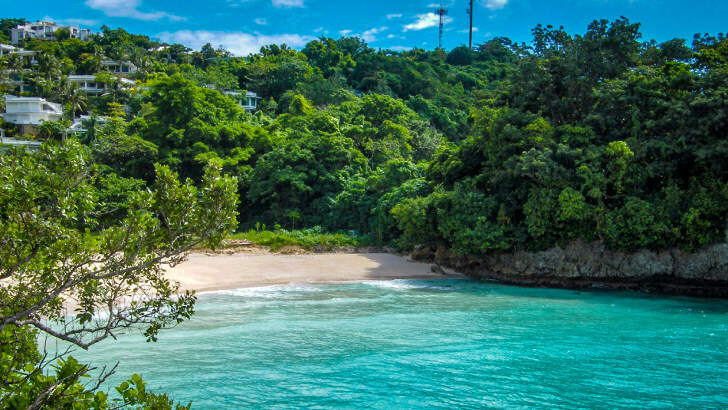 The Puka Beach covers about half of the northern tip of the island and is perhaps one of the most beautiful beaches on the island. Since the beach is right at the northern tip of Boracay, one can enjoy some small waves rolling in from the east . Puka Beach is also right at the end of the single main road and may be reached as a "Special Trip" by Tricycle" for 150 Peso or by motor bike. The beach is also a stop over or picnic point for the sailing or island hopping tours, offered at the White Beach. A perfect place, to spend a day on an almost empty beach. 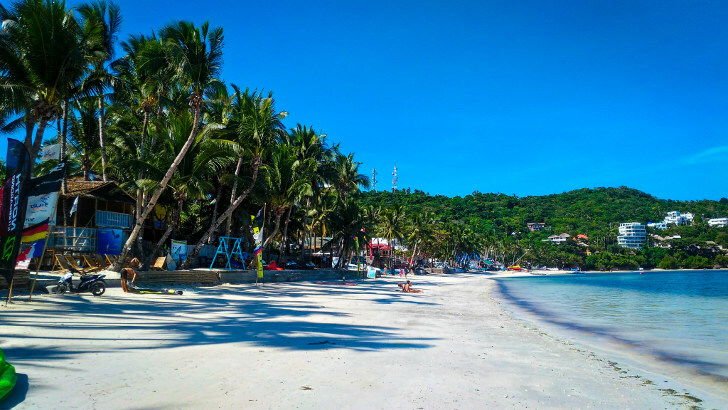 Bulabog Beach is located on the east side of Boracay and is the place where all the Kite Surfers and Wind Surfers meet. The beach is about 1.2 km long and can easily be reached by Tricycle or by a short walk from the D'Mall or the center of White Beach. It has a big lagoon with shallow water protected by a coral reef outside and a strong wind is blowing from the sea during the high season from November till May. 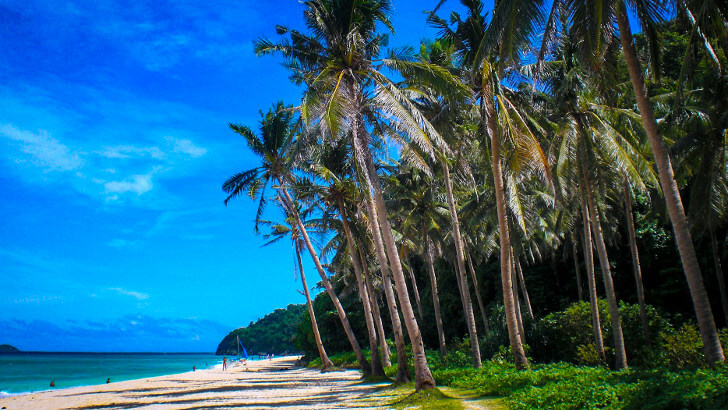 The Ilig Iligan Beach is located at the northern end of Boracay's east coast. It is a beautiful empty beach where you might just meet a very few other tourists on their trip around the island. The beach can be reached by Tricycle or motorbike but the road is a little bit difficult and washed about by the rain. In the end, we had to get off the Tricycle and walk up the hill. On the way to the beach you will also pass by some local tour guides who want to show you the bat cave. I think it costs some 300 Peso to use their service.